Haven't been in here for ages. Just read your career thread from start to finish - quite a struggle you've had. I really like the move back to DPMM to unfinish some business. Hope you can pick up some form for the second stage for, at least, a small step up the ladder. Good luck! 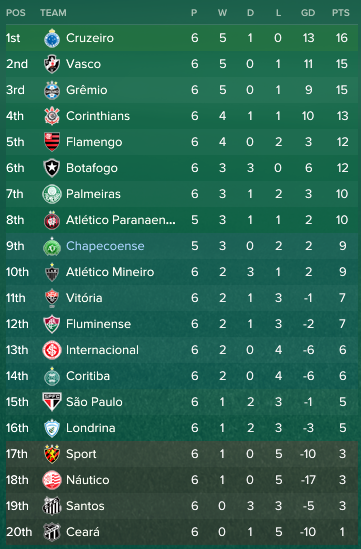 Three wins and two losses in the league leaves us in ninth place with one game in hand. 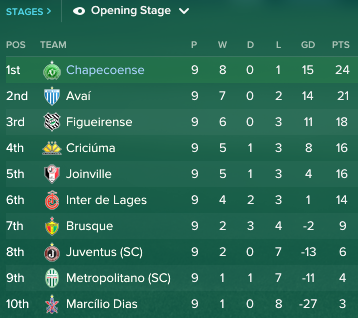 In the Copa Libertadores we won our group and have one of the toughest tasks ahead of us, facing Boca in the second round. And so we start the Closing stage by a decent performance. Over to @Cymro! 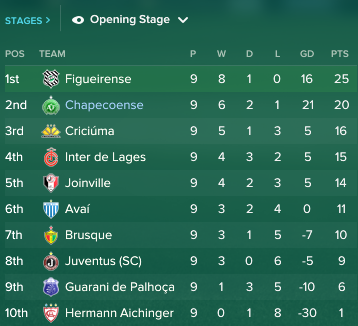 Last game of the Opening phase. 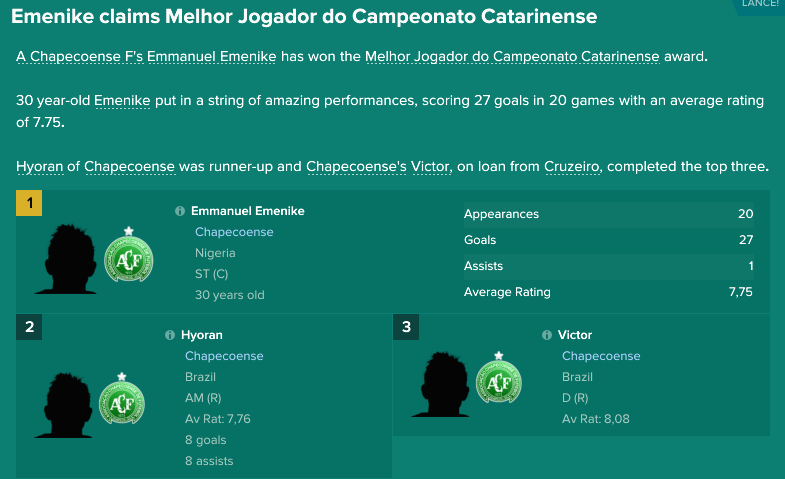 Emenike only score goals in a bunch at a time. And he rather do it when the game is already over. And again... Look at those stats! 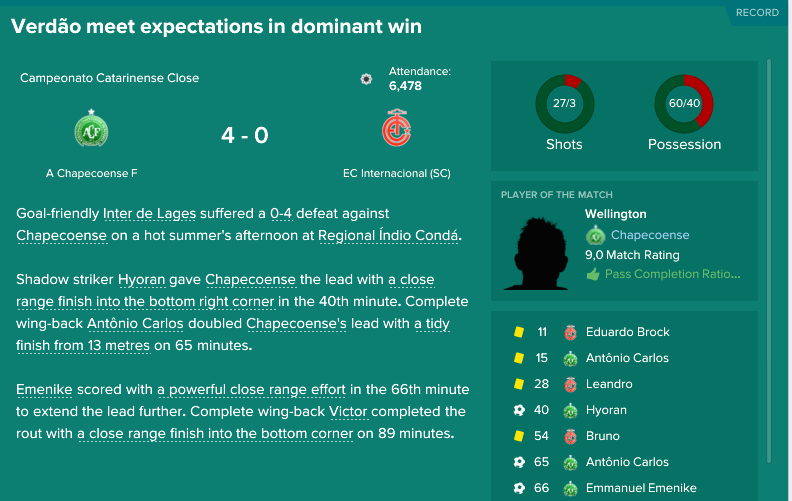 Well, we qualified for the quarter final at least. This inefficiency is gettin the best out of me... Second place it is. Good win in this little cup. 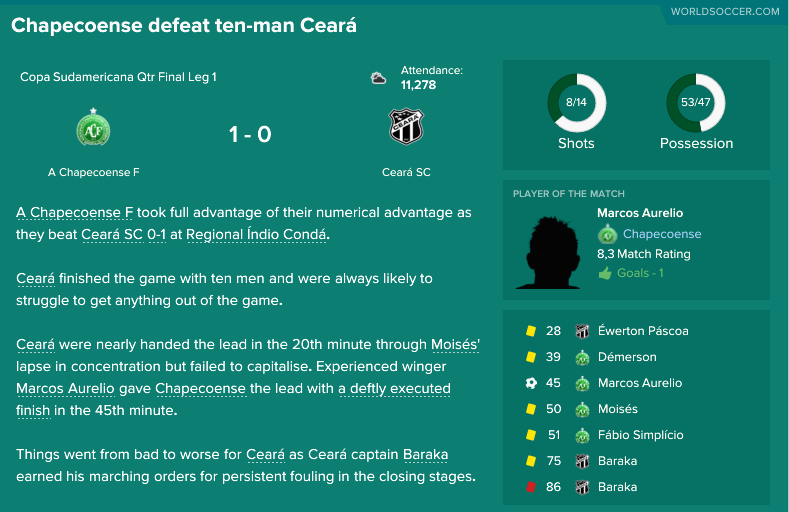 That probably gave away the first place in the Opening round. Solid but not very impressive victory. We need to get better at finishing our chances. Some cup match of some sort. This wasn't fair. 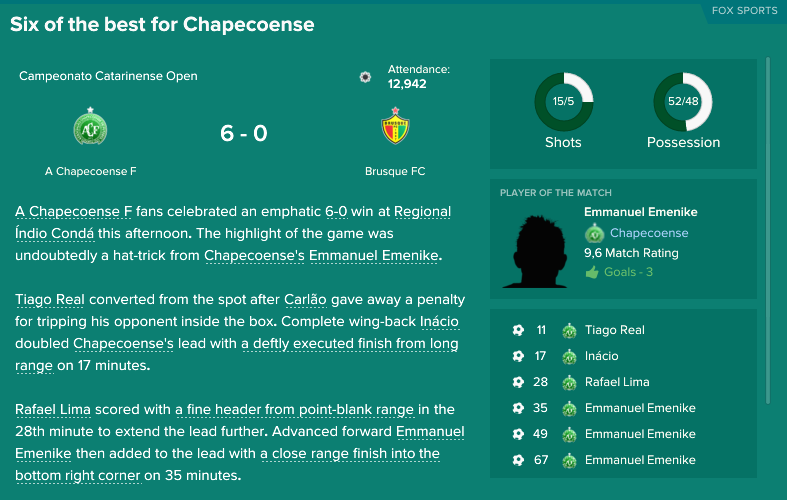 I put Emenike on after 56 minutes to get him some easy goals. 15 minutes later he completed his hattrick. 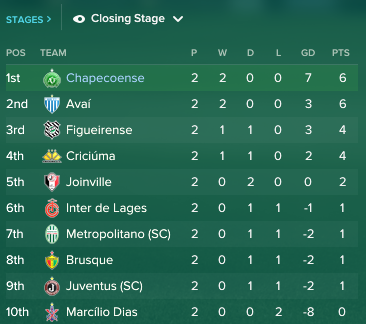 Slow start in the league. We should of course have won. Robinho comes on as a sub and scores a penalty kick. 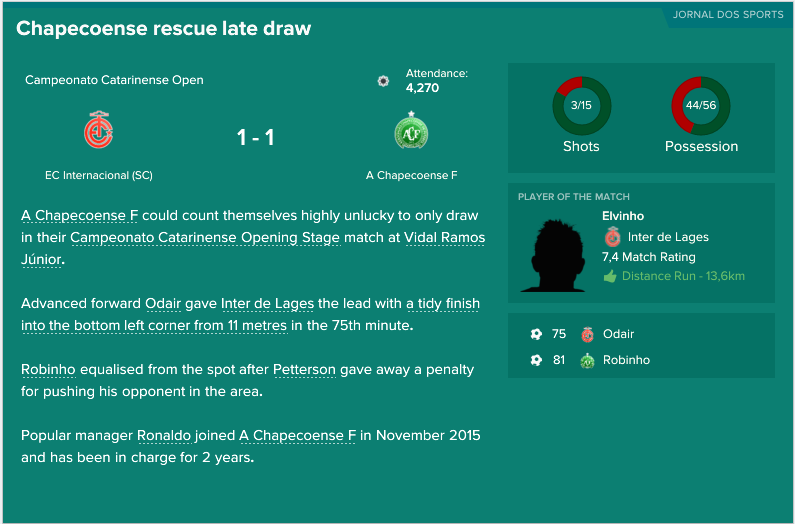 He had another ball in the net, but it was chalked off. New starting centre back to play along side Rafael Lima. Legend. Comes in as a player/coach. No wonder if you look at who's his idol. Free loan from Liverpool, will slot in nicely in the centre of our team. A cheap back up loan. 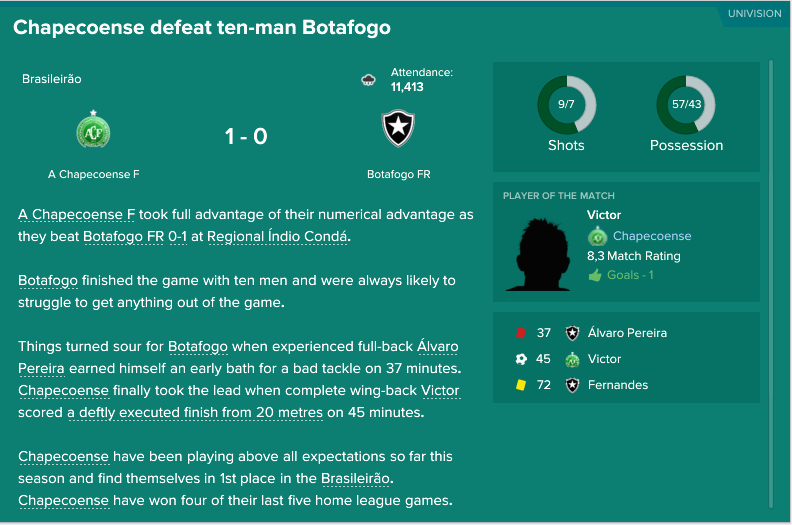 Santos had to pay the price for our last poor performance. 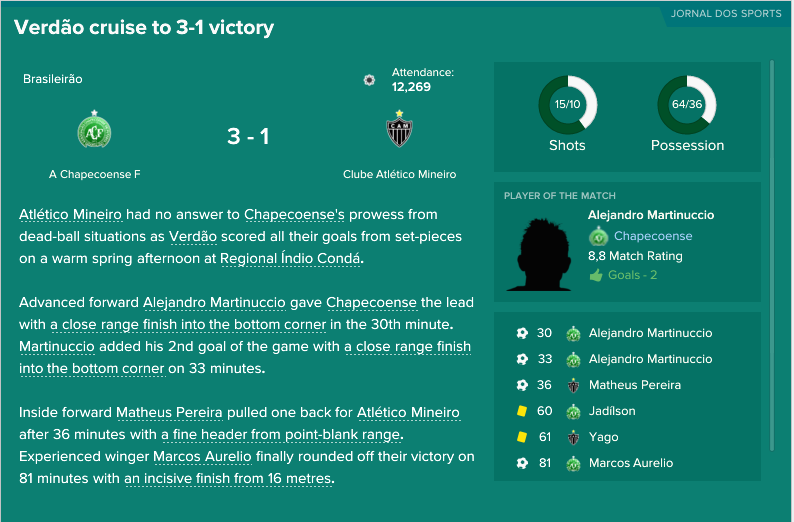 Mantinucco finally scored. And I really like Rafael Bastos - my Kluk of the game. First versus second in the league, and the chasing team dominated from start to finish. Closer to 0-2 than 1-1. Great win away from home. 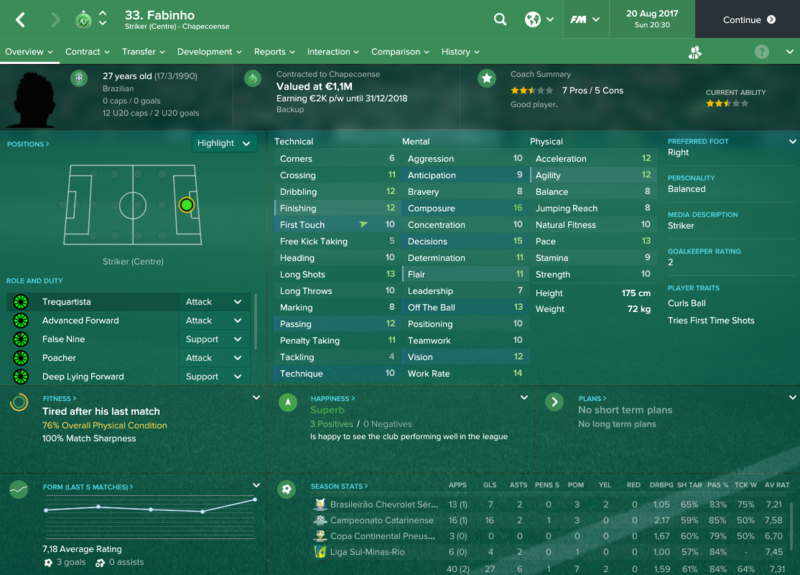 Fabinho doesn't look like much, but he sure can score goals! 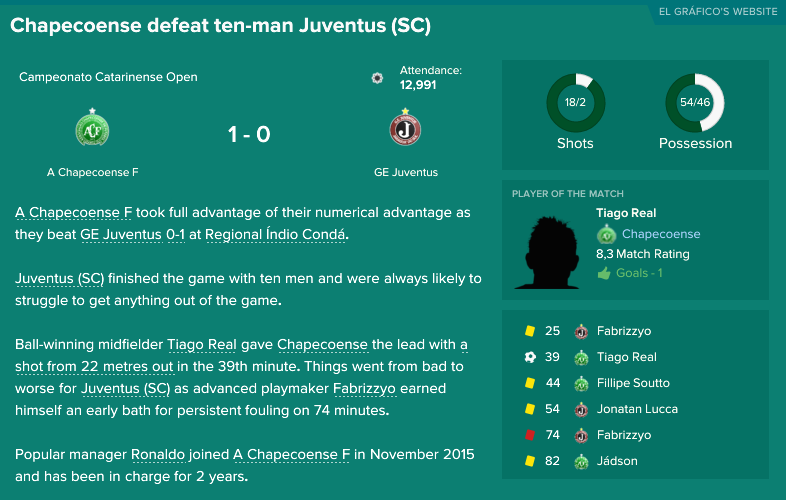 Played against 10 men for almost an hour. 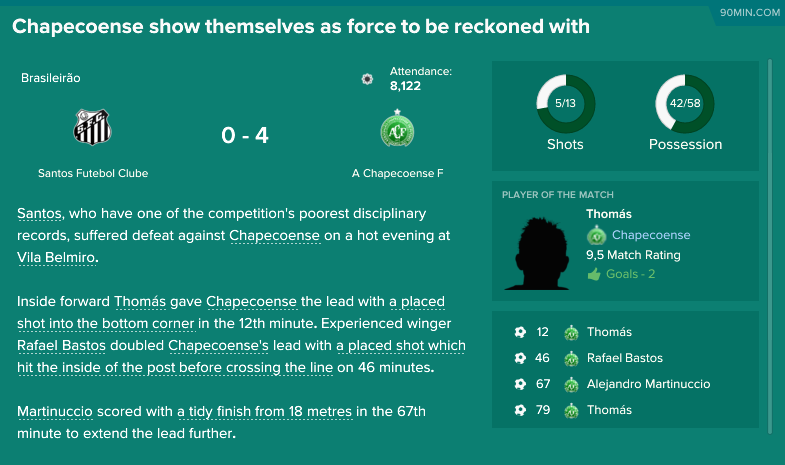 Maybe we should have won more comfortably. 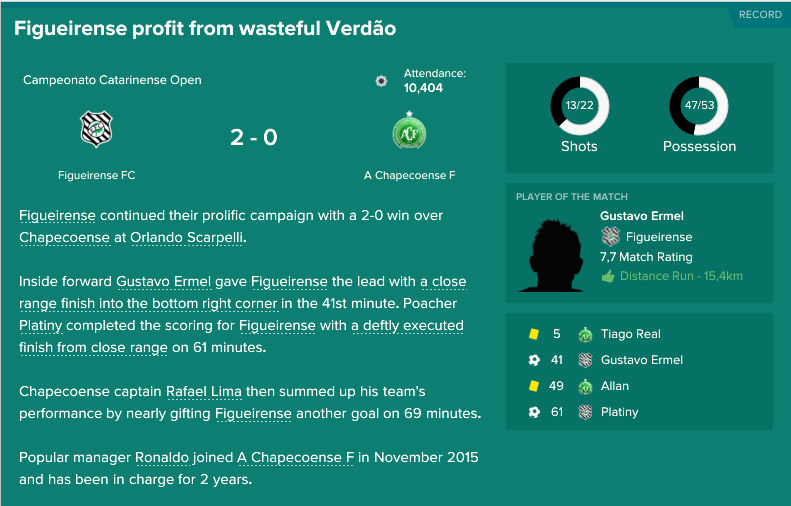 Victor, right back on loan from Cruzeiro with a lovely shot from outside the box. 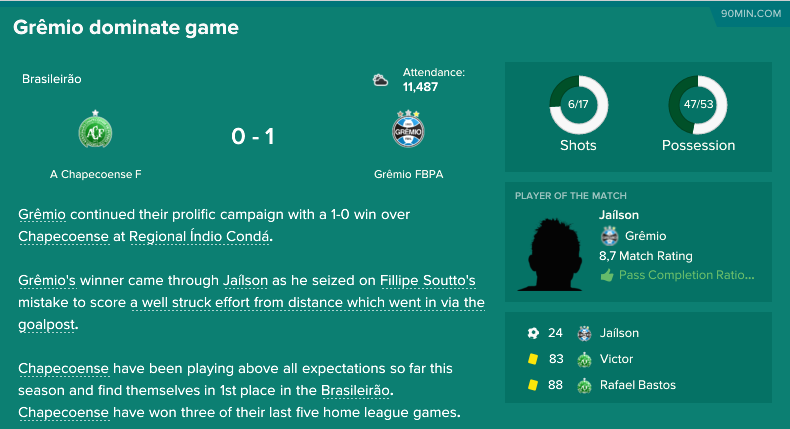 The Maracanã echoed empty as we took all three points with us home. Firmly in control the entire game. 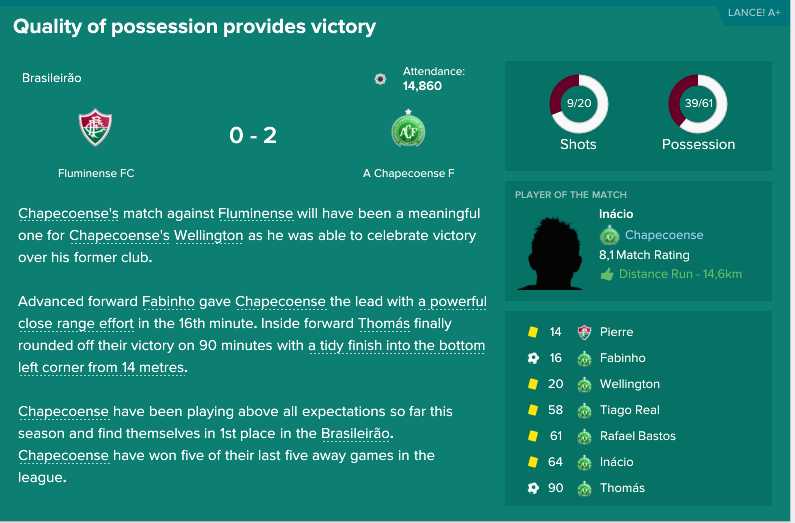 Rafael Bastos keeps scoring, really glad Fola could find a new deal for him! Fantastic result for us, and well earned. 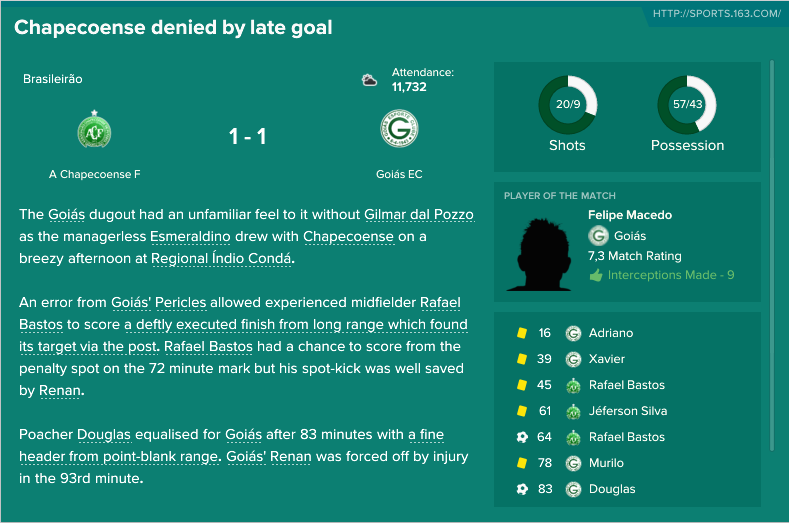 Yet another free kick goal from Rafael Bastos! A strong performance against our rivals. Fabinho with a brace. A bore draw. The highlight was Bastos free kick, curled into the top corner. 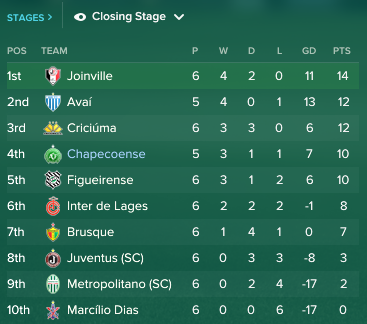 Not looking too hot, but if we beat Avai in the re-scheduled game, we might win it. 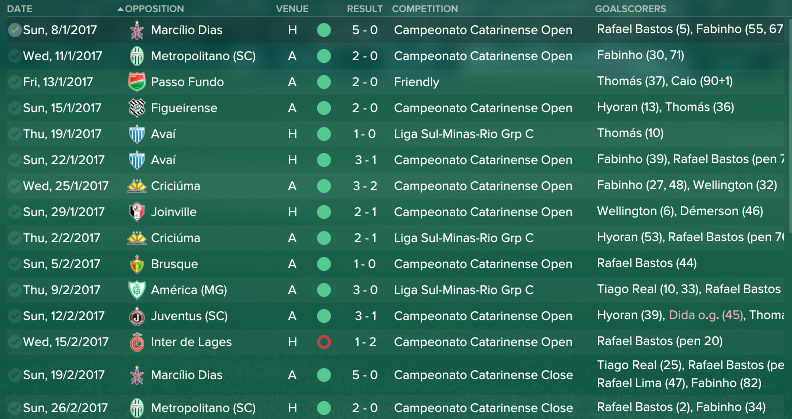 Not the easiest of draws to face Santos in the first round. 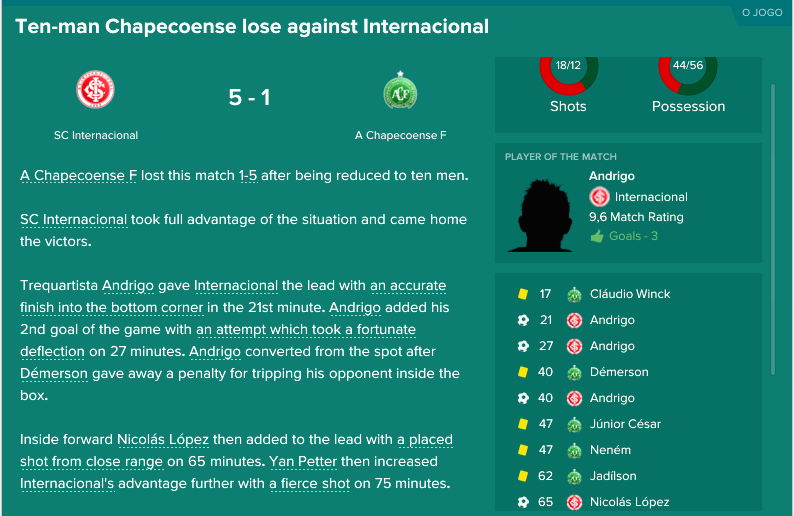 Rodrigão, who scored twice for them, is a really good player. 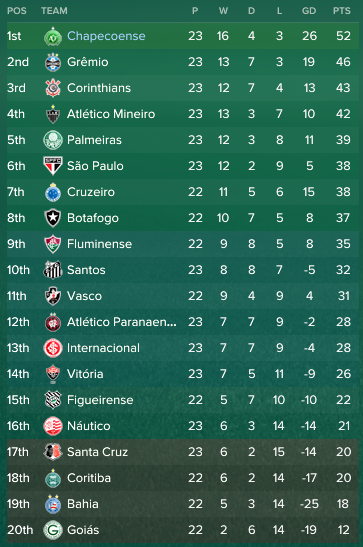 Santos is just an overall better team than us. 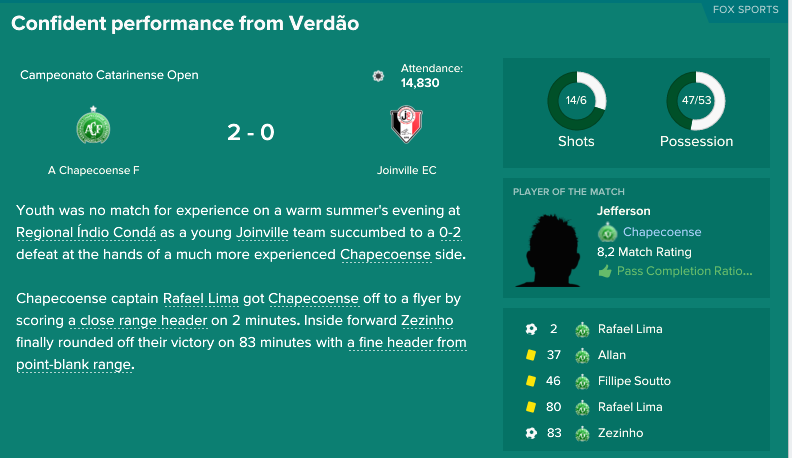 Rested a lot of key players and barely got the win against a lower league side. Over to you @Fola - som interesting games coming up! Abysmal first half where they also missed a penalty. 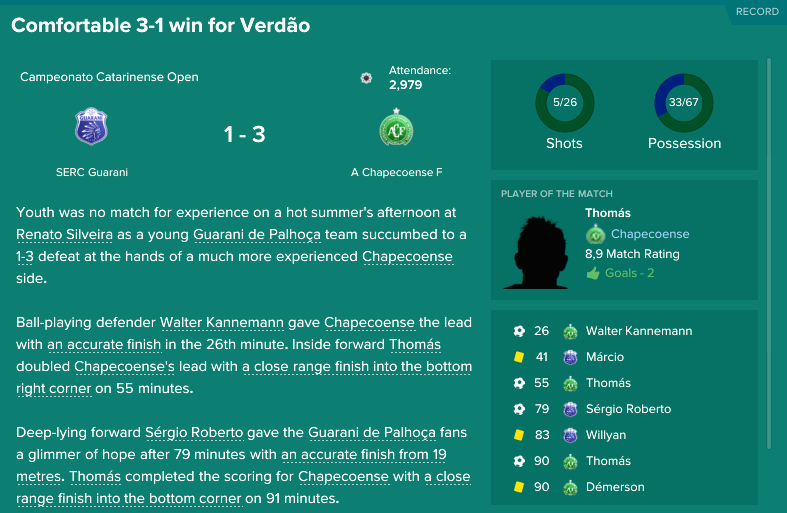 Started with a 4-4-2 and changed to last season’s 4-2-3-1 at half time and brought Tressor Moreno on. Tow assists from him turned the game. 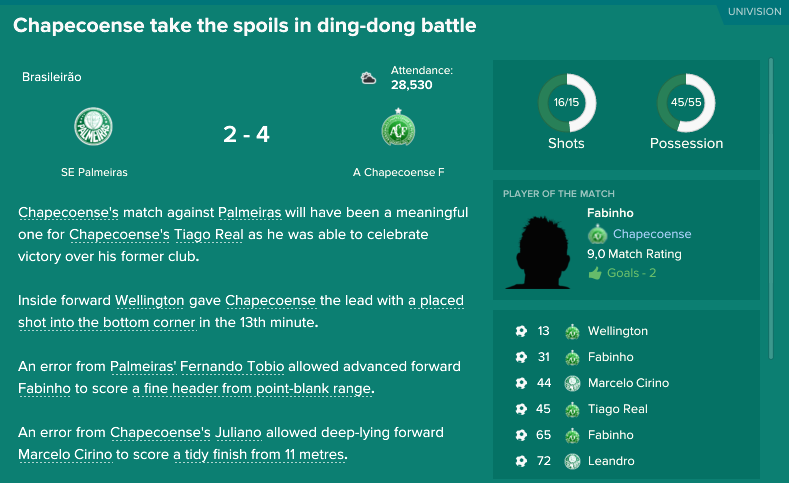 Two goals on the debut for Tiago Real and another fine free kick from Bastos. 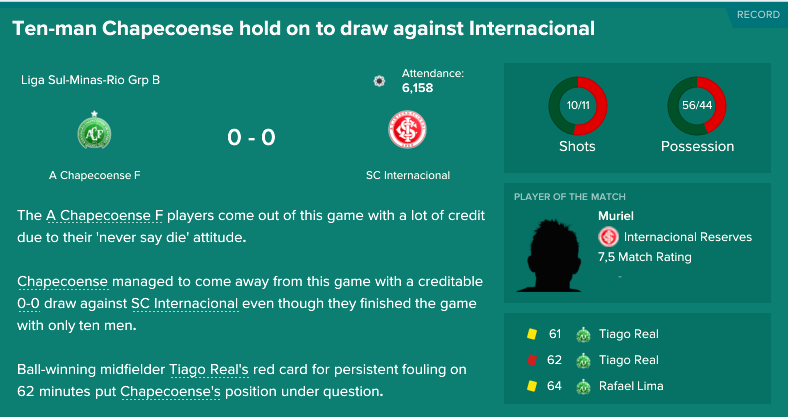 Uneventful game with a rotated side. Lovely free kick from Bastos gave us the win. 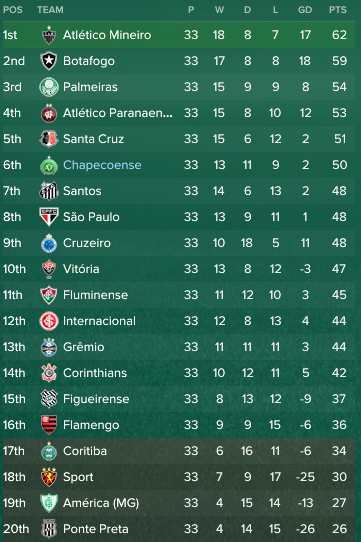 First loss in the league. 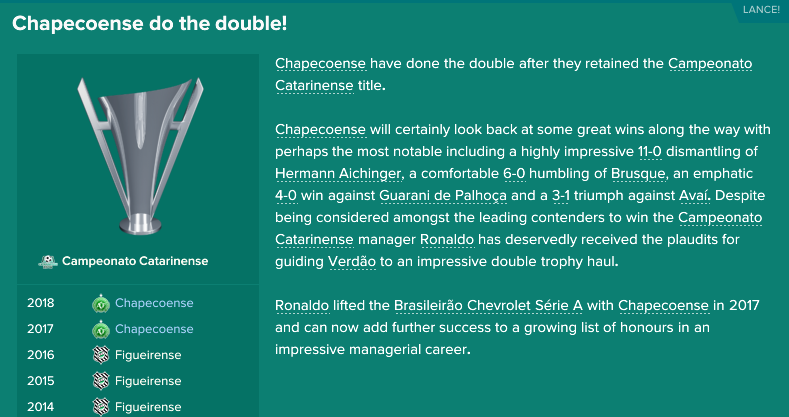 I rested our first choice centre back pair, and the replacements weren’t good enough. Bastos scored two penalties and missed one. 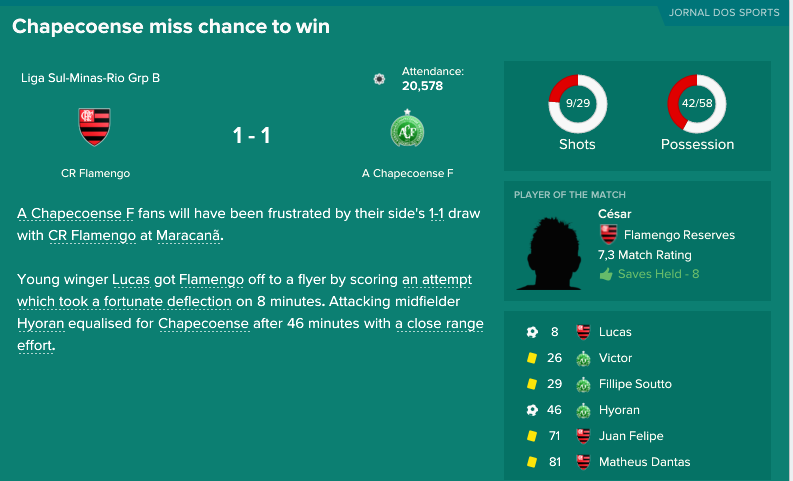 Fabinho scoed his first for me during this stint. Straight forward win. Quite a few players are coming back from injury to increase the competition for the first team places. I started with a search for a more defensive mindes midfielder as most of them we have are more AMC or winger types. I found three! All on free transfer. Maybe still a bit on the attacking side, but he'll go straight into the first eleven. Could also be a starter. Back up. The most ball winning player of the lot. Good job @Fola getting Bastos to stay. He wouldn't accept anything under 9K a week one month ago. Jefferson looks good too! 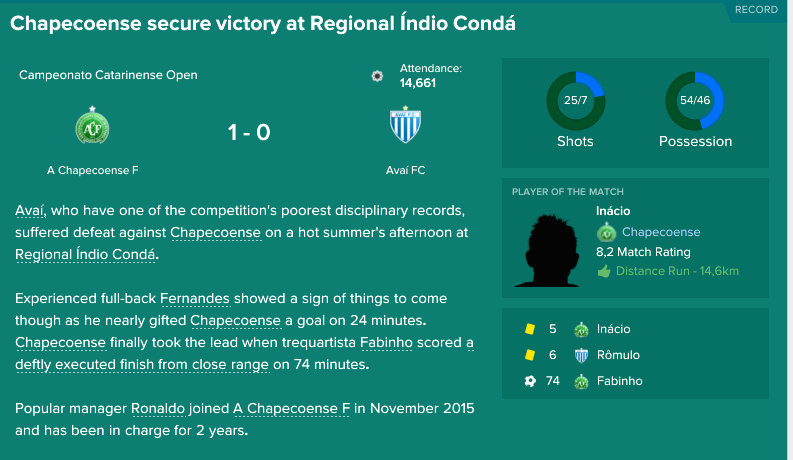 Fantastic win against league leaders Atletico Minerio to end my stint. 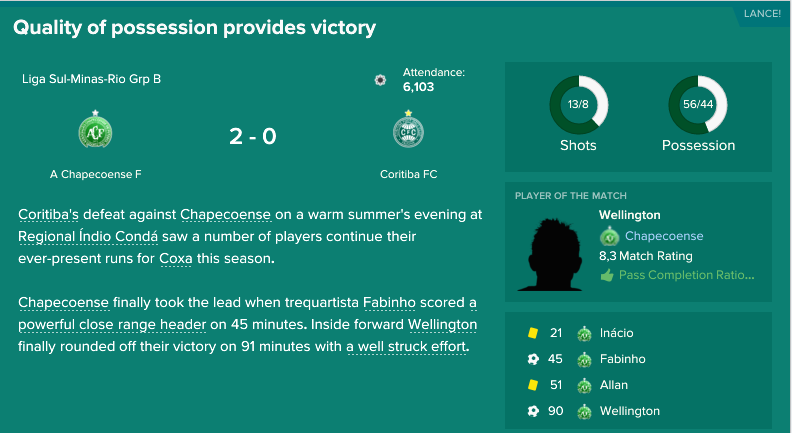 We had most of the possession even if I played counter attack. 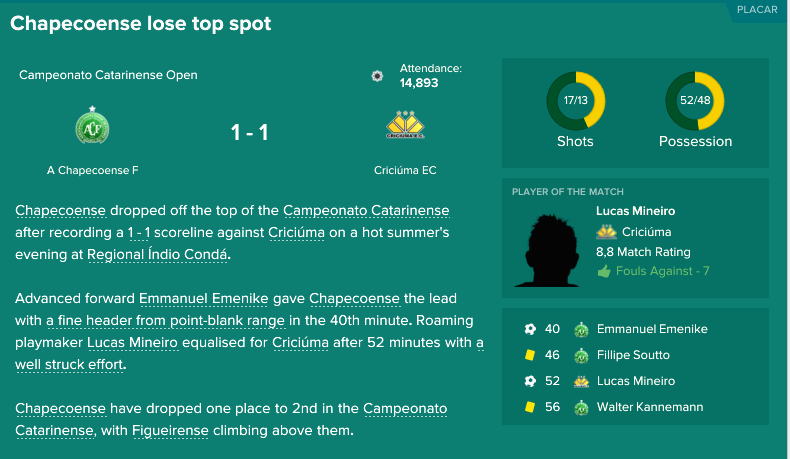 A unconvincing win in the first leg of the quarter final of the Copa Sudamericana. @Fola will take care of the away game. Ouch. Actually a rather even game, but the were lethal in the penalty area.